My name is John Davies. 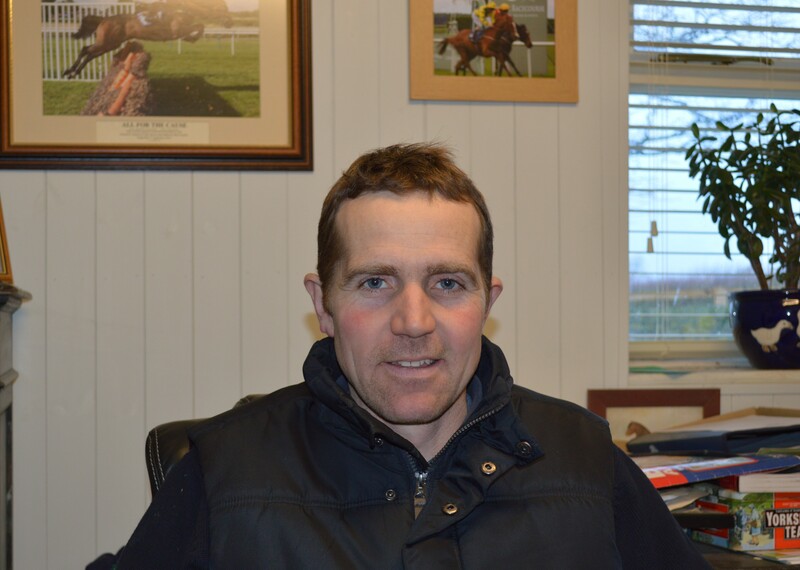 I am a racehorse trainer near Darlington in the Northeast of England. Since being a boy I have ridden horses competitively and now my passion for racehorse training and competing continues with my small but growing yard based near Darlington, Co. Durham. When I left school I immediately started work for Reg Hollinshead. Much to my consternation my weight soon became prohibitively high preventing me from making the weights to ride in races regularly however, over the next 10 years I worked for Tom Tate, Mary Reveley and Micky Hammond where I began to develop my knowledge and skills until returning home to train point-to-pointers. After training several winning horses point-to-pointing I took out my permit to train professionally. In order to be granted a full licence to train racehorses professionally two of your own racehorses must win under the professional rules of racing. However, when funds are limited this leaves you with few options. I chose to acquire racehorses that had lost their way and required nurturing back to winning form. On the 21st August 2010 All For The Cause won at Market Rasen and on the 23rd of January 2011 Scrum V also won at Market Rasen thus enabling me to attain my full training licence shortly afterwards. From there I have built up my team, the facilities and owners from scratch. Since 2012 we have been fully fitted out with all of our own facilities. In regards to racehorse training I have always taken a holistic approach which includes appropriate and progressive training, the correct nutrition and the use of chiropractic/physiotherapy for example. Above all the welfare and happiness of the horses is paramount. I believe that when a racehorse is happy, pain free and content at home they are far more likely to give you their all and perform on the track. We achieve this with our training methods, the relaxed environment on the yard, field time for the racehorses and kind treatment from the team working with them. We have had success and disappointment over the past few of years (see The Osteopath page) but on balance we have achieved a lot when the previous facilities and other challenges we had to overcome are considered. I am very proud of our achievements so far but it is only the beginning. My desire is to continuing building and developing the yard but ultimately winning races is what matters most to me. We are looking forward to competing and winning races over the coming years as we build on our group of winning horses with new additions to the yard. Finally, have a read of the testimonials page and see what owners and industry insiders have to say!